Just thinking about holiday meals with old time favorite recipes can make your salivary glands water, but truth be told, the after-effects of holiday meals often create so many unwanted gastro-intestinal challenges as well unwanted pounds that you swear it off another year. What if there was a better way without sacrificing everything? What if you could add some dietary armor to your meal planning that would make it different this year? If that sentence speaks to you, please read on. When my family and friends come over to my home for holiday meals they have come to expect a delicious but nourishing meal but without the gastrointestinal side effects and/or have the scale move toward those unwanted numbers. The nutrition principles behind my holiday meal planning fundamentally start with minding my guests’ gut microbiome. I find unique ways to add fermented food, prebiotic foods, probiotic foods, resistant starch and bring as many plant fibers to the menu as possible. 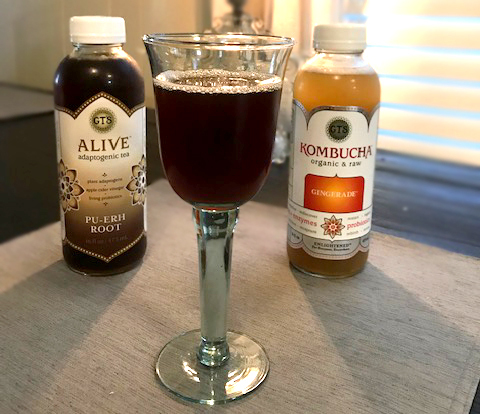 For digestive help, I start our meal with a sparkling fermented drink and pour 4 ounces of GT’s Kombucha into beautiful wine glasses that we all toast with before we start our meal. One of my favorites is GingerAide. Then my table is set with a resistant starch soup. 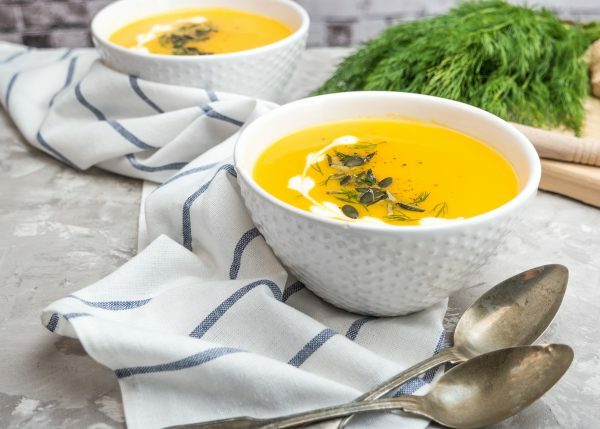 My favorite starch soup is my butternut squash leek soup (see recipe below), which is slightly cooled to about 140 degrees before your guests begin. Why? Bringing the starchy soup to the table at that temperature or slightly cooler, makes the starch become a resistant starch or resistant to your digestion. Remember resistant starch bypasses your ability to have to record that soup’s calories into your AP…yes it means the calories from starch are almost free calories and it won’t spike your blood sugar. And because the fiber content is quite high, it feeds your gut microbes and they secrete substances that get absorbed and travel up to your brain to help you feel satiated which intern, helps with portion control and thus your waistline. Also once your microbes digest the fiber, they secrete another substance that can heal the lining of your large intestines. This is particularly useful for those who may be suffering from ulcerative colitis. Did you know the fiber content feeds your microbes and thus they also help you lower your cholesterol? But wait, this soup does so much more. Because it’s full of richly colored vegetable phytochemicals (i.e. plant pigments), your gut microbes absorb the yellow-orange plant pigment known as carotenes that can help prevent acne outbreaks to macular degeneration. To top it off, the ginger in the soup is known to aid digestion, help decrease a type of virus (HRSV) from causing an upper respiratory tract infection, is an effective treatment for the controlling spikes in blood sugar and it can activate your NRF2 master gene. To turn the NRF2 gene “dial” to even higher levels, the leeks, garlic and onions in this recipe contribute to turning the NRF2 dial too! When you “tickle” or up-regulate the NRF2 gene and add popped pumpkin seeds on your soup, it provides a robust level of trace minerals. The combination of the ginger, leek, garlic and onions and the trace minerals in the pumpkin seeds will turn the switch on in your cells to pump out these powerful antioxidants (specifically catalase, glutathione peroxidase and superoxide dismutase). These antioxidants will “bathe” your cells for hours and turn down inflammation. Wow, that is a quadruple-nutrition WHOA! The FAME butternut squash soup has been perfected over the years for the greatest health benefits while integrating a creamy culinary delight. It’s chock-full of so many healing foods that will not only warm and delight your palate but shrink your waistline. Think of your master genes like dials that you can turn up or down. When you stack your diet with certain plant molecules (known as bioactives) and other nutrients, they will “talk” to your master genes. For the bread, I make a gluten-free buttermilk cornbread muffins (I like Bob Red Mills) and then substitute milk with organic buttermilk, which is especially useful for those who have a hard time digesting milk. Even if your guest does not have celiac disease, many people have bloating with gluten. To add more plant fibers I always fill the menu with roasted vegetables and bring an abundance of raw vegetables in the form of a salad…and I always drizzle the salad with extra virgin olive oil. One of my favorite roasted vegetables is my smoked paprika roasted cauliflower with Shishito Pepper mustard by Punk Rawk Labs (see recipe below). As a centerpiece for each side salad, I add a pinch of Cultured Guru Sauerkraut that will certainly aid your digestion. Dessert can be tasty and full of more plant fibers by adding berries. 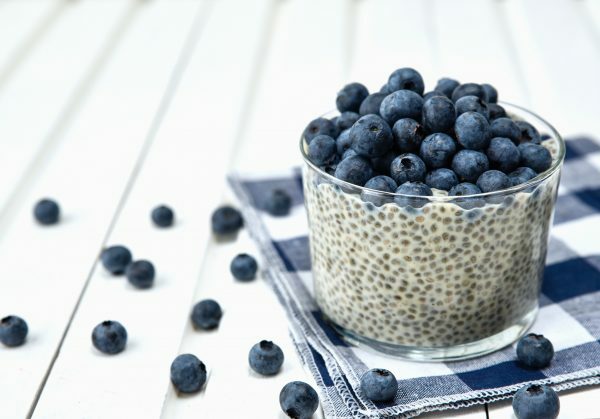 On this menu, I am featuring a Coconut Chia Seed Pudding with fresh berries (see recipe below). To finalize each meal, I ask for one more toast to health. I add 4 ounces of Alive Adaptogenic Tea Pu-erh Root to each person’s wine glass. This is one of my favorite sparkling ciders full of healthy mushrooms known to strengthen your immune system, but make no mistake you don’t taste them. Instead, this concoction uses root beer spices to make it taste just like root beer. Often people ask for a second glass. Now if only someone would put a scoop of ice cream in the root beer cider you may be able to create a root beer float. I dare you! Ha! I already did! Heat Coconut oil in stockpot. Saute onions until translucent. Add vegetable bouillon and water. Simmer for 15 minutes on medium to low heat. Add Leek, garlic, squash, spices, and salt to the pot. Cook squash until tender, about 1 hour. Remove from heat. Puree with blender or immersion blender. Garnish soup with fresh chopped dill and popped pumpkin seeds. Drain water after seeds have soaked overnight. Place EVOO on medium heat. Add wet pumpkin seeds to pan and stir. When they start to pop (not like popcorn but the belly of the seed pops open slightly) turn heat down. Remove base and leaves from cauliflower and wash good, gently opening up the head and allowing a good washing and allow to drip dry in a colander. Place in ceramic dish for roasting then pour 1/4 the EVOO working quick to rub the oil throughout the head. Place in oven for 30 minutes. In a separate bowl add ghee, yogurt, and mustard. 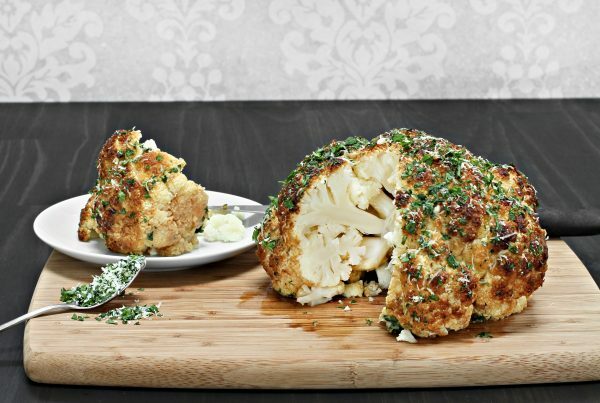 Remove semi-roasted cauliflower from oven and spoon mixture on top, coating the whole head and allowing the mixture to also go into crevices. Sprinkle paprika on top then place back in preheated over for another 30 minutes. Remove from oven, allow to cool for 5 minutes, then slice vertically for a "meaty-but-vegetarian" like entree (Cauliflower steak) or cut small flowery pieces and enjoy this as finger food with toothpicks. Have a small bowl of Shishito Gold Mustard on the side for the latter option. Whisk together chia seeds, culinary coconut milk, almond or coconut milk, and maple syrup. Place cover on bowl and place in refrigerator for a few hours. Place in a parfait cup, add blueberries and top with walnuts.